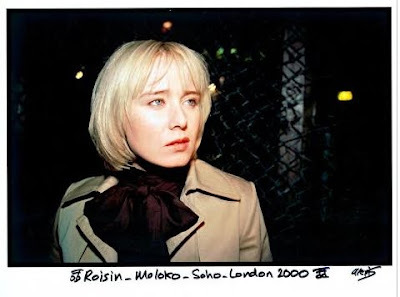 I just found this rare picture of Roisin by Alexis Maryon on a new & pretty Tumblr blog. The blog is dedicated entirely to Mickey Murphy's Daughter, a.k.a. Roisin Murphy. Click here to check it out. Wow.. tens years have passed by.. and she still looks the same! AMAZING WOMAN! No, she looks now even better. She really is an amazing woman. Wow what a beautiful photo, she looks so young and carefree!! !